The Guild Theatre is one of Menlo Park’s most notable places, yet as a single-screen theater in the age of the multiplex, it has struggled over the past few years to attract moviegoers. What will it take to use this great building and great location to its full potential? Do we need a different kind of theater or a chance to put this building to a new use? Does this location in the heart of Menlo Park need a remodel or an entirely new building? Imagine the future of Menlo Park – up on the roof! When you visualize Menlo Park in ten, twenty, or thirty years, what do you see? Here is an idea for just one change that would make Menlo Park a unique destination to visit and enjoy. I believe we live in a great city, and I use those words intentionally. Menlo Park is a city – the City of Menlo Park – not a village, township, borough or district. We are also great in more ways than one: great weather, great public schools, a great location on the mid-peninsula, great resources, great diversity, great ideas and innovation. Yet, when I want to spend my free time and disposable income with my family and friends, where do I go? Palo Alto, Mountain View, Redwood City, San Carlos, San Mateo, and sometimes San Francisco and San Jose. Maybe even a pedestrian mall in place of Santa Cruz Avenue to attract foot traffic, pop-up stores, outdoor artwork and events -- like Boulder’s Pearl Street, Madison’s State Street, or Santa Monica’s 3rd Street Promenade. Any of these would make our city a great place for Menlo Park residents to live, work and play, AND attract people from all over to enjoy our downtown, patronize our businesses, and support our local economy. But I think we can start small. What if we just encouraged one change that would make Menlo Park a unique destination to visit and enjoy? Something that takes advantage of our great weather and beautiful scenery. Something that is already happening and could become pervasive if we supported, encouraged or maybe even required it. I am talking about rooftop development. 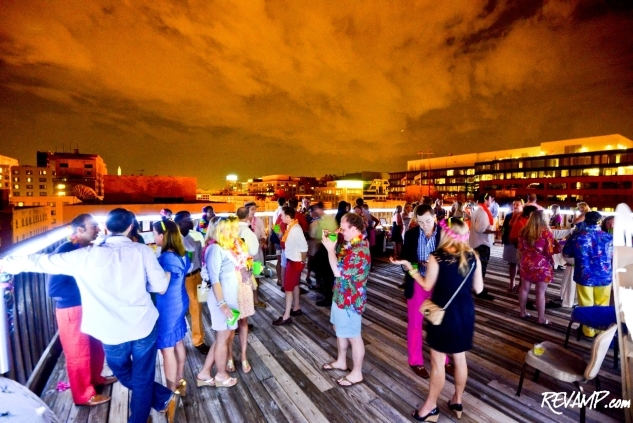 There are many great examples of rooftop venues around the country and around the world, and all of them very popular, some quirky and interesting, and typically upscale. In Washington DC many of the buildings downtown provide public space and access to the roof during business hours so that anyone can enjoy their lunch in the sky. Seattle boasts a number of public parks on rooftops, and private rooftop common space is a popular selling point for many condo and apartment dwellers. The Union Square garage in San Francisco is a great example of a street-level park with car storage below. Downtown Austin has a number of rooftop venues, restaurants and clubs where events can take place including outdoor movies. 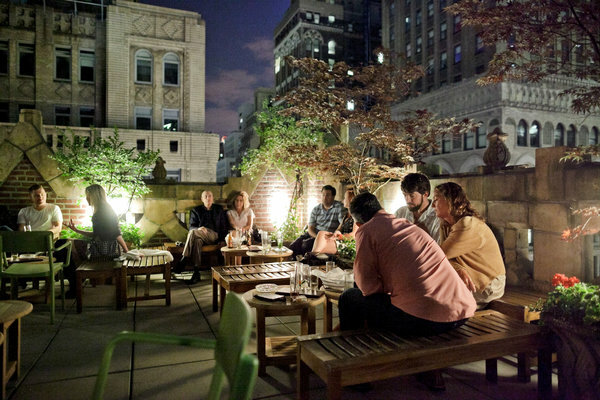 Rooftop bars and restaurants are popping up in New York City and London – but only in use when the weather is nice. 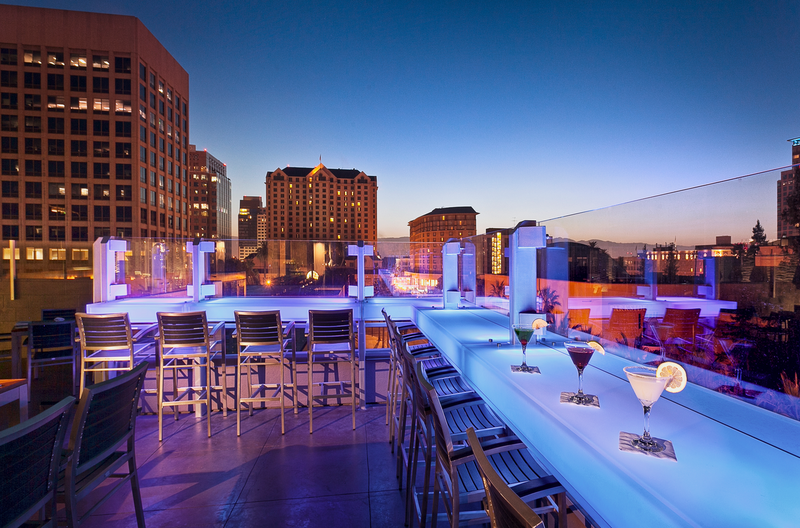 With a few outdoor heaters and firepits we can enjoy these rooftop spaces all year long where we live. This is just one idea that I can imagine for Menlo Park. There are many great ideas, and we would like to hear them. That is what Imagine Menlo is all about – coming together to discuss, dream about, and sometimes advocate for the things we would like to see in Menlo Park. Please join us to imagine the future of Menlo Park, like our Facebook page, come to one of our upcoming events, and post your comments and ideas here.